Plaid Cymru councillor Carrie Harper has challenged Welsh councils' investment in fracking firms through their pension schemes. Denbighshire, Flintshire and Wrexham councils operate a £1.8 billion pension scheme through the Clwyd Pension Fund. After it was revealed that this was one of eight Welsh council pension funds investing in fracking firms, she wrote to the Fund's chief executive Colin Everett. Thank you for your enquiry about the Pension Fund and our ethical investments. We discussed this briefly at the Pensions Committee meeting last week, at which Wrexham CBC was represented, following the BBC coverage to which we contributed with a reply to a press enquiry. By way of explanation the Fund makes investments, for a return, in a broad range of international companies through an approved investment plan and strategy. Some of these companies are active in energy and fuel production. Whilst some of these companies might be involved in ‘fracking’ they have a wide range of business activities and energy productions and not fracking alone. We do not knowingly or purposefully invest in fracking activity specifically. The Fund meets ethical codes and guidelines for its investment plan and strategy. If you look up the Pension Fund Committee agenda and minutes from last week (5 September) on the Flintshire County Council website you will see the ethical compliance referenced in the Fund Annual Report. We appreciate that fracking is a contemporary and a divisive issue. Welsh Government is currently reviewing its policy and legislative position as I am sure that you are aware. Should the Government take a final position which might influence the future investment choices of the eight Funds in Wales then we will of course review our strategy and the decisions our investment managers and agents make on our behalf. The Funds in Wales are not acting improperly or indeed unlawfully, as the one interview in the media coverage might have suggested. The Funds have not been called upon, until now, to review their position noting that we are fully complaint with the ethical codes and guidances. I am sure that this will be a running issue and that there will be fuller debate over time. I hope that this reply is helpful and reassuring. Many thanks for your quick reply and for pointing me to the annual report, much appreciated. 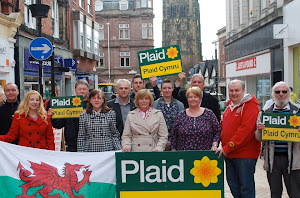 I’ve copied in Nigel Williams as our representative in Wrecsam and also Ian Bancroft as our new Chief Executive. I understand that mitigating the risk of climate change has to be incorporated into the investment strategy as a requirement under the Well-Being of Future Generations Act, can you tell me if you’ve taken any formal advice on this please? I can see reference to compliance with general codes but there is no reference to this that I could find. It would be helpful to understand how this has been considered. I’m also unclear as to the exact amount invested in fracking firms (either directly or indirectly), could you provide any clarity on that please? As I’m sure you’re aware there has been a moratorium in place in Wales since 2015 to prevent fracking here, the Welsh Government are proposing an effective ban on fracking, with the relevant powers being devolved in October. It is therefore a completely unethical position for Welsh councils to then profit from firms who will be fracking in other countries. Given the last ‘light touch’ review of the Clwyd Fund strategy happened back in 2016, would it not be timely to review the strategy now given the obvious direction of travel here in Wales? I did read that Gwynedd’s Pensions Committee are at least revising their strategy to include more responsible investment principles. Should we not be investing in a greener future for our residents, rather than investing our resources into an industry we’re opposing in Wales? Thanks for the response Carrie. 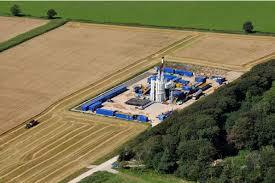 “We do not invest in companies that just undertake fracking activity. We have been advised by our global equity and emerging market equity fund managers that there are some large companies within their portfolios who may have a small proportion of income from fracking. In November 2017, the investment in these companies with some income from fracking was lower, that being £7.6m or about 0.4% of a £1.8bn fund. There has been no recent debate in Wales over a policy position for LGPS Funds that I am aware of – but I stand to be corrected. This will clearly be an area for policy debate over the coming months. A solution on the horizon for the Groves?